Yesterday my husband and I went to our good friends' (Jameson and Val) home for a cookout. 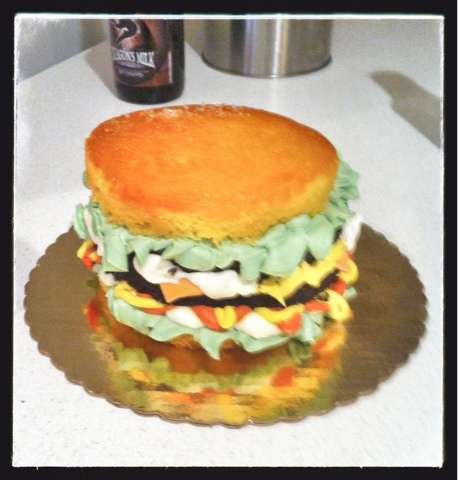 For dessert we brought over a burger cake from Whole Foods - although I was a bit freaked eating it, it was very tasty! 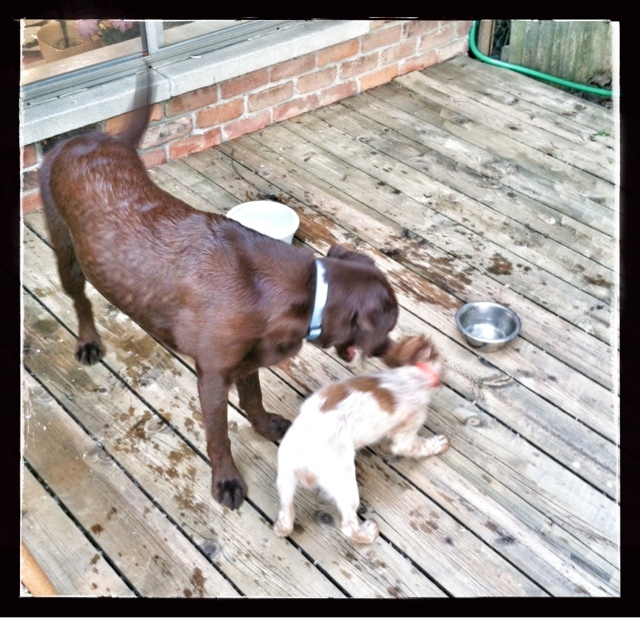 Scout and Milton played all evening and are now best friends!